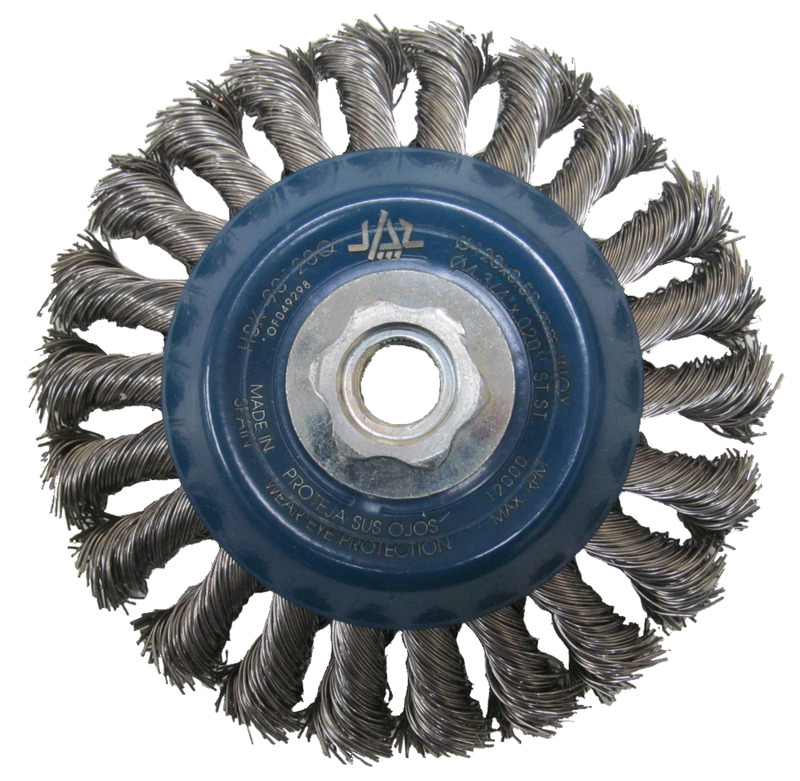 Applications: These wire brush wheels are designed for the high speeds of both variable and fixed speed angle grinders. They are made with crimped wire and give a more controlled finish than equivalents with twisted knot wire. 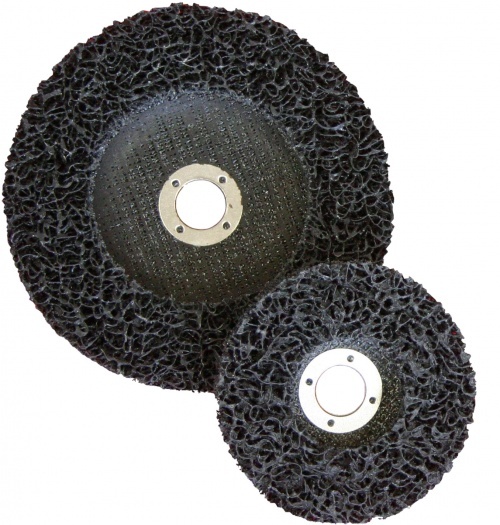 They are ideal for cleaning castings, stripping steel of rust and coatings, age effecting timber and surface finishing a wide range of materials. 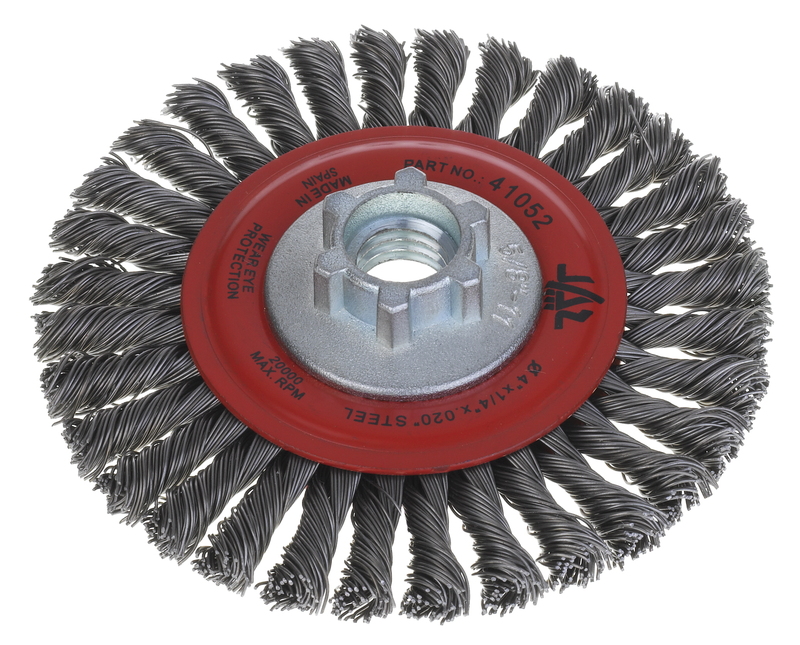 As they are used edge-on, they work on smaller surfaces than the standard angle grinder cup brushes. 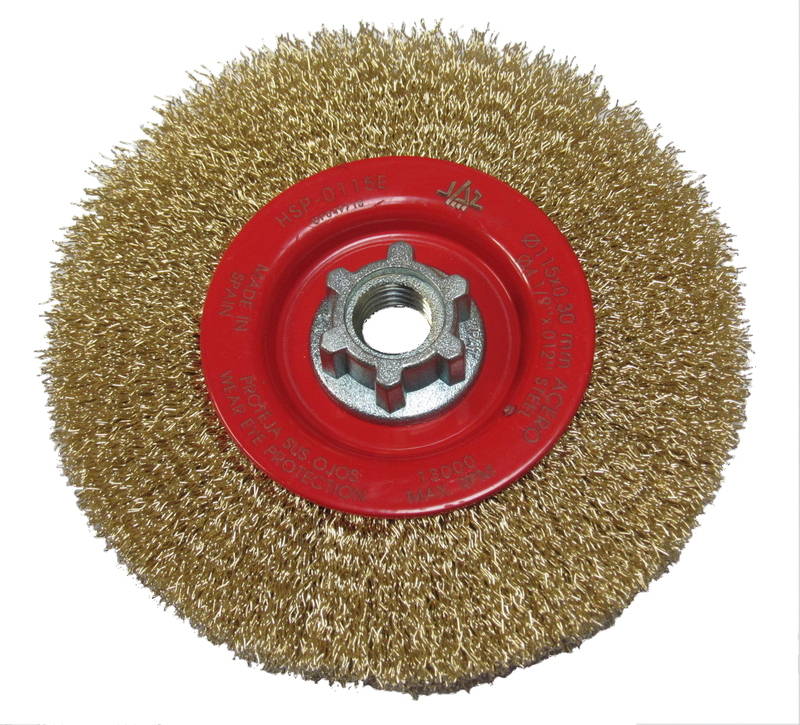 The brass coated steel gives a good balance of strength and flexibility as well as having good rust resistance. Made with brass coated crimped steel wire for greater durability. Fitted with captive M14 threaded nut to suit angle grinders from 115mm upwards.